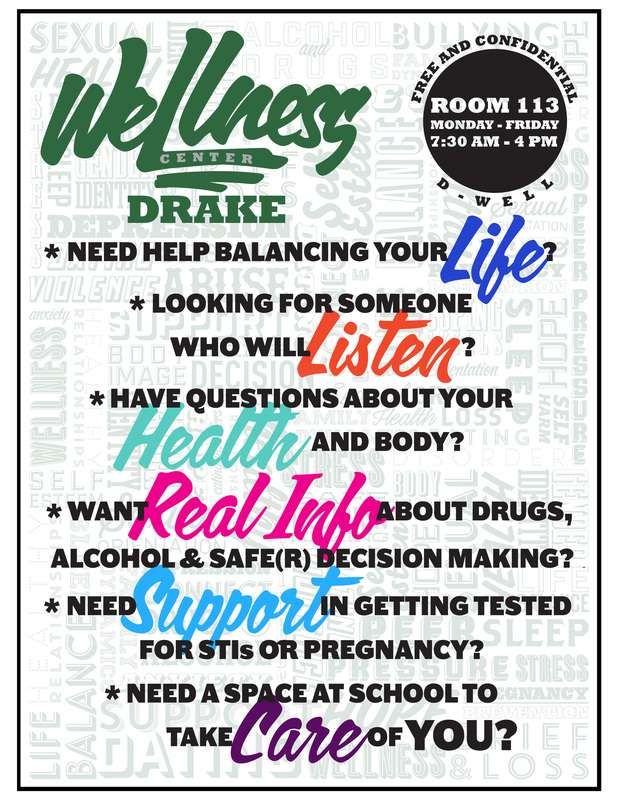 Drake Wellness is here and in Room 113. We are open Tuesday thru Friday 7:30-4pm, before school, after school and during lunch for drop in. During class time by appointment only. For immediate after hours and 24/7 support click Here.